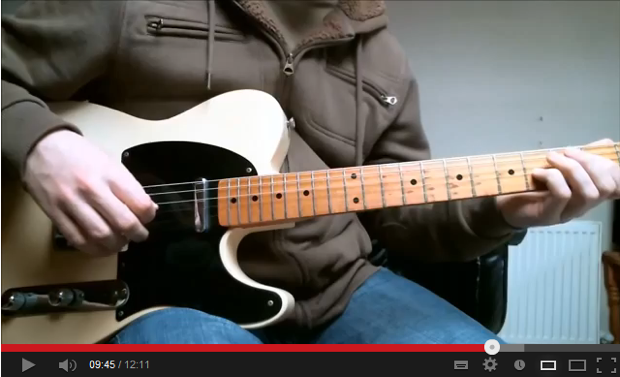 Over the past decade or so, the way in which the guitar is taught has changed considerably. Classrooms are becoming a thing of the past, as now students can learn the guitar through Youtube Guitar Teaching Videos without leaving the comfort of their own homes. Don’t get me wrong, an in-person teacher is still invaluable, but the new ways in which guitar teachers can teach and recruit students are important to know about when developing a guitar-teaching business. One of the most effective ways to showcase your teaching abilities and recruit new students, is through YouTube video lessons. When I uploaded my first instructional YouTube video back in August of 2012, I thought I’d be deleting it within a few weeks. But, within a few days of uploading it, I had recruited two new guitar students and increased my ebook sales substantially. There are plenty of videos that have been online much longer that than mine and are just as good, yet have less views and results, so what did I do that was different? There are also videos that aren’t done well and work the opposite way by turning potential students away. So how do we stay clear of these mistakes? In this article, I will be sharing five tips that are vital in making successful YouTube Guitar Teaching Videos to better your guitar teaching business. All you need is a good webcam (which most laptops built within the last couple of years have built in) and high quality teaching skills. Time and time again, I come across fantastic players and teachers on YouTube and have no idea who they are because I only see their hands and Marshall stacks. Viewers need to see a guitar teachers face so that they can make a visual connection. Keeping your face on camera, for at least for the intro and ending of a lesson, is the most important rule of making online videos. Zoomed in shots, like the picture below, are fine for parts of the lesson, but there should be at least a short introduction with your face shown on camera. Being able to see who you are gives viewers a feel for your personality and helps them connect with you. Viewers will always invest in you as a person before they invest in your business. There’s no shortage of YouTube guitar teachers out there, and most of them teach very similar content. The thing that separates each of these lessons is the teacher. Viewers are 70% more likely to take a call of action if you ask them to. In every video that you post, ask your viewers to subscribe to your channel, like you on Facebook, and check out your website for details on teaching packages and products. People tend to be a bit lazy when it comes to this sort of thing, as I am guilty of this myself, so don’t hope that they will automatically click on your channel or Google your website. Paste your website link into the video description and have it as on screen caption so there’s no excuse for missing it. The picture below is a screenshot showing one of my videos. Notice that I have links to the lesson accompaniment and one of my ebooks in the description which I actually make reference to in the video. On the internet, a viewers attention span is shorter than ever and video’s are rarely watched all the way through, which is why every second of your guitar teaching video should count. Mumbling, hesitating and trying to remember what you’re next point is can be avoided by making mental notes or writing out a few bullet points about the lesson topic beforehand. You don’t need to memorize a word for word script unless you really feel it’s necessary, but having a few mental or written notes will help keep your lessons flowing, focused and to the point. Because attention span is so short on the internet, avoid having long introductions and demonstrate the concept you will be teaching as soon as the video starts to keep the viewers attention. Each video you upload on YouTube has the potential to reach hundreds of thousands of viewers. If you were presenting to a live audience that size you wouldn’t go dressed in shorts and a vest? Make sure that you’re dressed smart and have a clean background in your videos. No one wants to see laundry or the 6 O’clock news playing on the TV in the background. Try to look into the camera as much as possible and keep yourself positioned with the centre of the screen as show in the picture below. Having a great video doesn’t mean that you will have a great audience straight away. You need to share each video on social networking sites, emails and forums so that you get as much as viewers as you can. To give you an example, every single video I make gets shared on my Facebook Page, Facebook groups, my email list, LinkedIn, Twitter, Google Plus, and across a few different online forums. Remember, each viewer is a potential student, so more views equals more students. Each of these points have helped me grow my own teaching business substantially, so I hope they help other guitar teacher’s dive into the world of online teaching. Besides recruiting new students to my home studio for lessons, online videos have also meant that I can teach in countries such as Australia, North America, Ireland, Canada, France, and the United Arab Emirates through Skype. But perhaps the best aspect of teaching online for me is that I get to teach my favorite styles of music. All of the students that come to me through seeing online videos want to learn what I like, so I rarely have to teach something that I have no interest in. 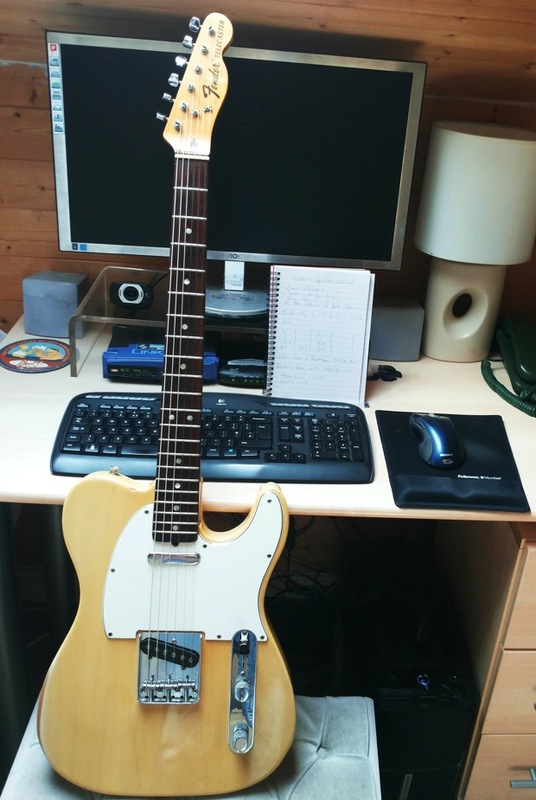 A common misconception about making YouTube Guitar Teaching Videos, is that you need an expensive setup to make good videos and this is not true at all. Although good sound and video quality can certainly enhance lessons, there is no need to invest in expensive recording equipment in the beginning. Looking at the early videos of two of the biggest YouTube guitar teachers, Justin Guitar and Marty Schwartz from Guitar Jamz demonstrates this point. Most new Smartphones have excellent recording quality which is perfect for YouTube, but balancing a phone or finding someone with a surgeon’s hand to record for you probably isn’t going to work well in the long term. I personally use an inexpensive HD Logitech webcam, so I can record videos and have them ready to edit and upload on my computer as soon as they’ve being recorded. Teaching through YouTube videos is a great way to build up a bigger following and reach a wider audience with your guitar teaching business. Do you teach through YouTube, or have any questions about making YouTube Guitar Teaching Videos? Share your comments and questions in the comments section below. This article was first published in the RGT Guitar Tutor Magazine, which is exclusive to RGT Registered Tutors. 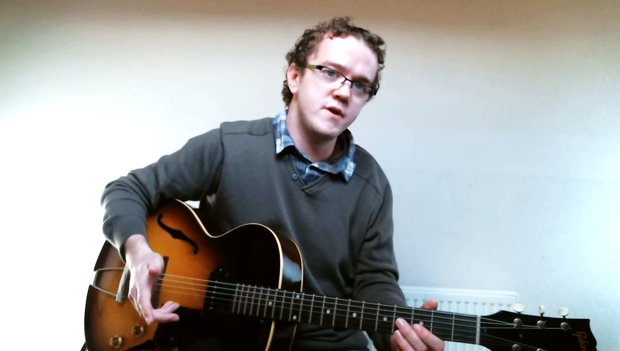 Jamie Holroyd is a UK based jazz guitarist and teacher as well as the founder of www.jamieholroydguitar.com, a free website with lessons to help students across the globe play jazz guitar. 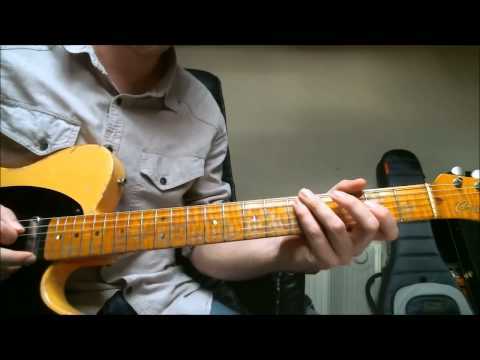 This entry was posted in RGT Tutor Development Articles and tagged Guitar Teacher Tips by Alan. Bookmark the permalink. I think most people want to see things played with both hands fast and slow. Nothing more. I use them sometimes for specific things like “should this be alternate picked?” or for rhythm technique and find myself fast-forwarding through the narration of what they’re doing. I think that works well sometimes, but to me I think it’s important to include some analysis and explanation so the student gets the most mileage from the topic. Thanks for this informations Jamie! No problem, thank you for checking it out! Fantastic article, IMO you have hit the nail right on the head. I would only add that it’s healthy to be wary of stats watching, it’s not about view counts/subscribers but hopefully helping someone out on their guitar journey in some way. For me I initially started recording Youtube vids as a way of showing my face and playing to potential new students for my private teaching business as well as improving my (or lack of) video creation skills. I was very lucky to see it become popular with viewers with its own online audience following etc. Still get such a kick from the fact you can help out players from all over the World. Thanks for the kind words and good points! Thanks for the very helpful article. I have trouble getting views and making my video work worthwhile to create. 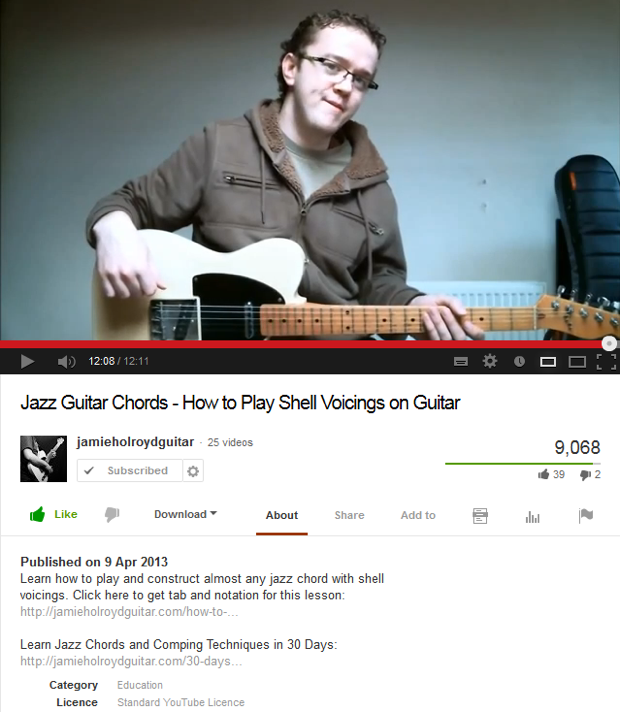 Worthwhile to me is increasing views and interactions with students of guitar. Also, do you have a system or some tips about lesson topics? Hi Justin, thanks for the kind words. Are you sharing your videos on forums, Reddit, Facebook, Twitter, Google plus and LinkedIn? That might seem like a lot of work but sharing new uploads on different social media platforms guarantees me at least 300 views within the first 24 hours. In terms of lesson topics I mostly teach jazz and blues techniques I know inside out, just because that’s why I love talking about. But sometimes I’ll notice common mistakes and misconceptions in one to one lessons that make for interesting ‘quick tips’. Hope this helps anyway. I thought that was a very worthwhile article, with some good basic points. It is hard to get it right for everyone, but you can only try to cover all bases. Btw do you know how to add chord boxes to videos ? Glad you dug the article! You can use programs such as iMovie, or Corel Video Editor for PC, to add images and text to any video you make. You mentioned that you only use a webcam to record your videos. I’m just wondering if thats still the case or do you use a seperate microphone for micing up your guitar amp? The sound quality of your videos is very good! Hi Tom, thanks for the kind words. I still use the same Logitech webcam. The sound is ok, but I wouldn’t be happy recording a performance using the built in mic. If you listen to the audio recorded with a usb lead at the beginning of this lesson (https://www.youtube.com/watch?v=fyf03W1ry70), you will hear a big difference from the webcam mic. Excellent advice, especially about doing a lick first. Too many videos have long spoken introductions. I want to know straight away if the teacher has anything I am interested in. My main interest is the ukulele and I have to come to guitar sites for really interesting videos and to find something transferable. Despite being two strings short, I am getting a lot from your videos, thank you. My ukulele videos are on youtube as Hawaiian Shirt Racer!